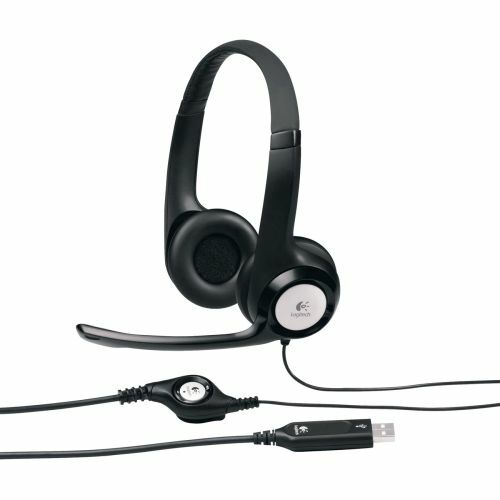 H390 USB Headset features an adjustable, padded headband and plush ear pads for outstanding comfort. Digitally enhanced USB audio provides superior sound clarity. Noise-canceling microphone blocks unwanted sounds even in a noisy room. Convenient in-line volume and mute controls offer easy access. Rotating microphone boom swings out of the way when not in use. Headset frequency response is 20 Hz-20 kHz. Microphone frequency response is 100 Hz-10 kHz. Headset includes an 8' cable. Headset plugs into a USB 1.1 or 2.0 port and is compatible with Windows 2000, Windows XP, Windows Vista and Mac OS X (10.2.8 or later).